An occasional blog covering obscure but (hopefully) interesting minor aspects of spaceflight, and what they tell us about the grand human adventure that is space exploration. The U.S. Air Force’s Manned Orbiting Laboratory (MOL) program was always about three years away from its first launch due to insufficient funding, and was eventually cancelled after only a single flight of a test capsule in the Gemini-B configuration. It had become apparent to the Air Force that MOL would essentially be duplicating the effort of what would become NASA’s Skylab program, and that unmanned reconnaissance satellites had developed to the point where manned presence in space was unnecessary for that purpose (ref. 5). The seven youngest MOL pilots were accepted as NASA astronauts, their disappointment in losing one space program growing into delayed but glowing successes when they came to dominate the early Space Shuttle era. But in 1967, another MOL physician with a degree in physics, a background as an engineer and aspirations to spaceflight had already made similar arrangements. William Thornton was one of the self-motivated would-be space travelers that space programs inevitably attract. After earning his bachelor’s degree in physics in 1956 and serving in the Air Force as a specialist in airborne electronic instrumentation, he returned to civilian life to apply his engineering expertise to problems of monitoring clinical patients. In 1961, halfway through medical school, he attended a space medicine symposium in San Antonio, Texas, and came away determined to fly in space himself. In 1963, the newly-minted M.D. re-joined the active duty Air Force as a captain and completed a rotating internship at the Wilford Hall USAF Hospital at Lackland AFB and the primary flight surgeons’ course at Brooks AFB, both in San Antonio. It was then that he became involved in space medicine research for MOL. His experience while in medical school, where he developed capabilities for monitoring surgical patients under anesthesia as well as the first on-line automatic ECG analysis, had obvious application to the problem of remotely monitoring the health of astronauts in space (refs. 3, 5 and 7). 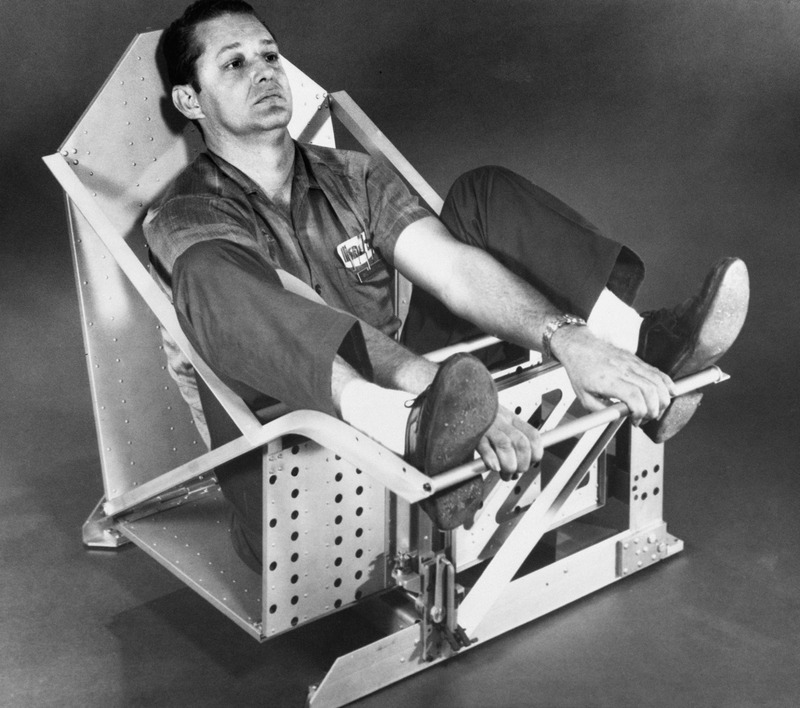 He also designed and developed the first mass measuring device for measuring MOL astronauts' body "weight" in weightlessness (ref. 4), which was patented in 1971 (ref. 8). for in-flight measurements on MOL astronauts. Japan for teaching and research. Thornton told me (personal communication, 2012) that he had gotten into the MOL program “to try to get a flight.” This might have been conceivable in 1963, but by 1966 it was clear that MOL would not provide such an opportunity. By then there were a dozen designated MOL pilots for the ten available seats (and four more would be selected in 1967). If they were somehow inadequate, the unofficial pilot-physician cadre, sponsored by the Air Force Surgeon General, was poised to claim any openings. Given that the Surgeon General’s protégées (see "A Jones for MOL #8: Shadow MOL Men (Part 1)") are so poorly reported in the accessible literature, it is not impossible that other Air Force organizations were also considering their own would-be astronaut corps, but proof is still absent. Indeed, twenty years later, the Air Force, the Army, the Navy and the National Reconnaissance Office all had cadres of as few as two or three to as many as thirty-one specialists for Space Shuttle missions. Although the Shuttle provided many more flight opportunities than MOL could have done, only three of these service members flew in space before such efforts were discontinued (ref. 5). In 1966, Thornton contacted NASA about the upcoming second recruitment of scientist-astronauts—having skipped the first such opportunity in 1964 due to his age—and in an August letter, Slayton advised him to apply under the relaxed constraints of the new recruitment. The application period ran from late September into November 1966. Thornton was selected as a scientist-astronaut by NASA in August 1967 (ref. 3). Although he had left the Air Force and its MOL program, Thornton stayed connected to it (ref. 3, 5 and 7). In 1968, as a civilian astronaut trainee, NASA sent him to the Air Force for jet pilot training, a requirement of all NASA astronauts at that time. 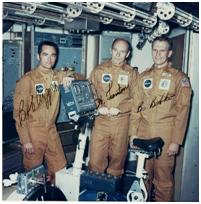 Then, in 1972, he spent 56 days simulating a Skylab space station mission with Robert Crippen and Karol Bobko, two of the MOL pilots who had transferred to NASA in 1969. Later, his two Space Shuttle missions were both commanded by MOL transferees: Richard Truly on STS-8 in 1983, and Robert Overmeyer on STS 51-B in 1985. There are always would-be astronauts in and around any space program. Even space programs with no usable hardware or practical prospects attract would-be astronauts. A quixotic bid to resurrect the Gemini project, “Americans in Orbit (AIO)-50,” surfaced briefly in 2008 and then collapsed completely, but not before a two-person crew was “selected” and visited nearby elementary schools giving inspirational speeches (ref. 1). In 2013, “Astronauts4Hire,” a non-profit organization, is recruiting crewmembers to tend payloads on upcoming commercial suborbital spaceflights as proxies for investigators who apparently cannot be bothered to fly to the edge of space themselves alongside billionaires and movie stars on sight-seeing junkets (ref. 2). 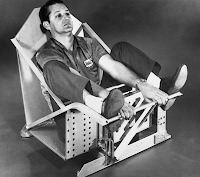 More realistically, in late 1964, Fred Kelly, a Navy flight surgeon and aviator on loan to NASA, had petitioned Manned Spacecraft Center director Robert Gilruth to fly a pilot-physician such as he on the planned long-duration Gemini flight instead of one of the professional test-pilot astronauts. Gilruth politely declined to fly someone who had not been competitively selected (ref. 6). Joseph Kerwin, himself a dual-designated Navy flight surgeon and qualified jet pilot who had, in fact, been competitively selected in the first scientist-astronaut class in June 1965 (the one which Thornton had intentionally sat out due to his age), still could not accomplish what Kelly had attempted. Kerwin has told the story of his first Monday morning astronaut office meeting, after chief astronaut Alan Shepard introduced the new astronauts to their senior colleagues, and then asked for a show of hands from those pilots interested in upcoming Gemini flight assignments, followed immediately by “put your hand down, Kerwin” (personal communication, ca. 2011). Some, like Kerwin and Thornton, eventually made the next step into orbit themselves; others, like Kelly, never did. But they all advanced the cause of human understanding in spaceflight through their service and contributions. 1. __, “Americans in Orbit-50 Years Inc., A Non-Profit Organization, Announces Its Plan to Re-Create The Flight of the First American to Orbit,” PRNewswire-USNewswire, Jan. 18, 2008, http://www.newson6.com/story/7741523/americans-in-orbit-50-years-inc-a-non-profit-organization-announces-its-plan-to-re-create-the-flight-of-the-first-american-to-orbit?clienttype=printable (accessed 30 June 2013). 2. __, “Astronauts 4 Hire,” June 12, 2013, http://www.astronauts4hire.org/ (accessed 30 June 2013). 3. 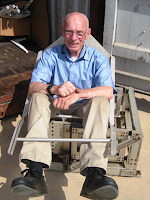 __, NASA biography of William E. Thornton, M.D., http://www.jsc.nasa.gov/Bios/htmlbios/thornton-w.html (accessed 9 Sep. 2012). 4. __, “Scale measures weightless ‘weights’ in space,” Popular Science, November 1966, p20. 5. Cassutt, M., Who’s Who In Space, The International Space Station Edition, Macmillan Library Reference USA, 1999, pp. 21-5, 31-2. 6. Kelly, F. America’s Astronauts and Their Indestructible Spirit, TAB Books, Blue Ridge Summit, Pa., 1986, p. 89. 7. Shayler, D., and C. Burgess. NASA’s Scientist-Astronauts, Praxis, 2006. 8. Thornton, W.E., Patent number: 3555886, “Nongravimetric Mass Determination System,” Filing date: May 20, 1968, Issue date: Jan 19, 1971, http://www.google.com/patents/US3555886 (accessed 30 June 2013). Please feel free to suggest topics or comment on anything. Let's keep it on topic, and cite your sources whenever possible!